This book would have to be one of my favourites! I didn’t expect for my fascination towards this book to be that much. 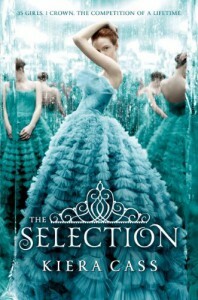 The Selection is a dystopian but as I was reading it, I find it hard to see it as that. It felt more like a fairy tale to me. It was filled with class, dresses, etiquette, and I felt like a princess while reading. They have a caste system in this world that goes from one to eight. One being very rich and Eight being very poor. I loved the writing and that it’s in the 1st person point of view. It was so easy to read and Kiera Cass did an outstanding job at giving the readers a very clear visualization of what is going on. I love America’s character. She’s a five and her family is makes their earning through music and art. I love that she is unselfish that she joined The Selection for her family’s sake and also to spare herself of the pain that she would be causing herself if she returns home. 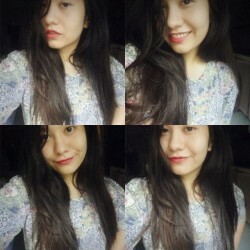 I can relate so much to her, not because I joined a contest or what, but because of her relationship with her parents and ex boyfriend. It just hit right in the feels. Let’s talk about the prince whom I’ve been rooting for since the beginning. I love him! I think he is a great guy, even though he is the prince he has insecurities. He is also very down-to-earth. I loved how they first met. I actually like the fact that despite the fact that there are 35 girls to choose from, cat fight didn’t happen that much. I was expecting too much backstabbing and sabotage. Aspen, the ex, on the other hand is a guy full of pride. He cared so much about the caste system that he chose to let go of America like she didn’t have a say about it at all. I think he no longer has the right to fight for her. You cannot break someone into bits and expect her to come running into your arms when you change your mind. No dude, get out of here. I like Maxon more than Aspen, but Aspen definitely has his moments and it makes you feel a little sorry for him. But still! I absolutely loved the book that I read the second one right away. It was filled with elegance and entertainment.